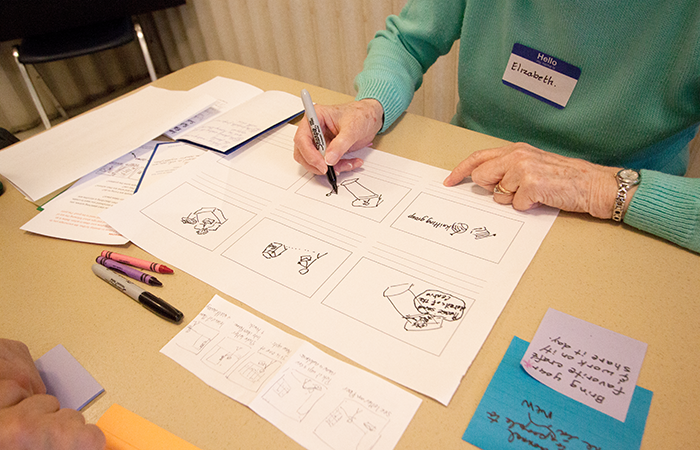 As an exploration of participatory design practices involving older adults, Engaging in Aging partnered with the Wallingford Community Senior Center to host on-site workshops and meetings. 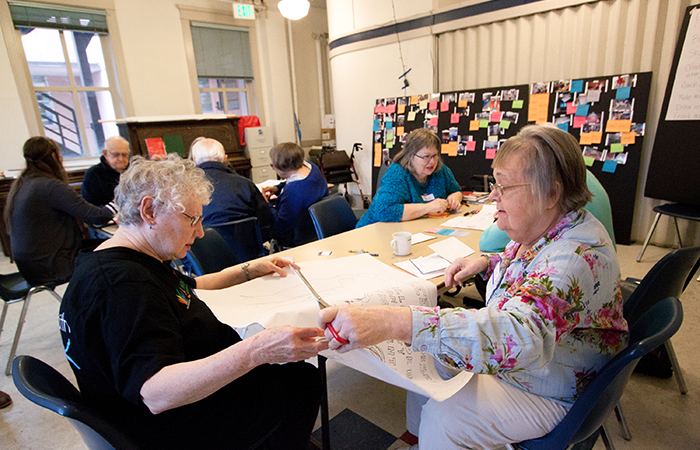 Participants worked alongside UW design students to ideate and develop interventions for experiences of social isolation in their own communities. 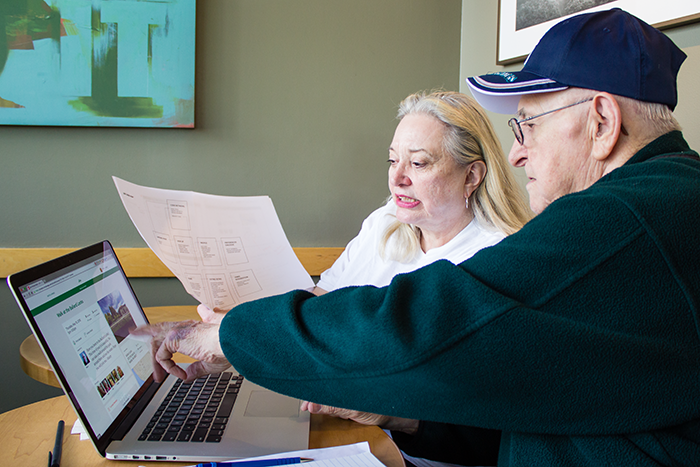 Three interventions emerged from this process and were further developed with the aim of testing them in context: (1) Jibe, an online tool for planning outings and connecting locally to people at senior centers and residences; (2) Rants & Raves, a table during lunch services reserved for casual debates, to invite people sitting alone; (3) a focus placed on the design of the welcome experience for first-timers at at the senior center. 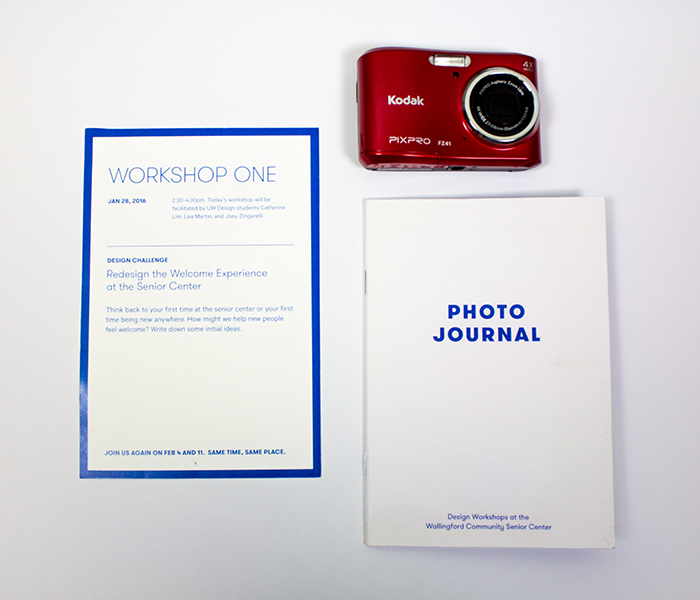 Many thanks to Joey Zingarelli, Lea Martin, and Amber Scoville for facilitating and documenting design workshops.